What are indemnity benefits in a workers' compensation claim? When you suffer an on-the-job injury, you may encounter a number of unfamiliar terms as you seek workers' compensation benefits. For example, a portion of the benefits you receive will be referred to as indemnity benefits. Indemnity benefits are benefits that are intended to pay a portion of your lost wages because you are unable to work due to an on-the-job injury. Although these benefits aren't intended to cover the full value of your losses, they provide a crucial economic safety net when you've suffered an on-the-job injury. You become eligible to receive TTD benefits after you have missed seven days of work due to your on-the-job injury. TTD benefits replace two-thirds of your average weekly wage, up to a state approved maximum, until you've reached maximum medical improvement (MMI). The maximum benefit amount changes each year. For the period of September 1, 2017 through August 31, 2018, the maximum benefit was $653. Injured workers earning more than $870 a week will only receive the maximum state-allowed benefit. SEB benefits help make up the difference in wages if you are able to work but are earning less than you did before you were injured. These benefits are paid at a rate of two-thirds the difference between what your wage was before the accident and what you are currently earning. SEB benefits can be paid for a maximum of 520 weeks. When your medical treatment is complete, you will be evaluated for PTD benefits. To qualify as totally disabled, your injuries must be so severe that you cannot earn any wages in the same job or another job. PTD benefits also replace two-thirds of your average weekly wages, subject to the same maximum as TTD benefits. PPD benefits replace two-thirds of your average weekly wages, subject to the state maximum, for a length of time that depends on the part of the body injured. For example, someone with a permanent loss of hearing due to a work accident can receive benefits for up to 100 weeks. Sometimes, in the case of severe injuries, an employer will offer a lump sum settlement in exchange for a release of further obligations. Accepting this type of offer should done with extreme caution. If you accept a settlement that does not adequately compensate you for your injuries, you could face a significant future financial burden. 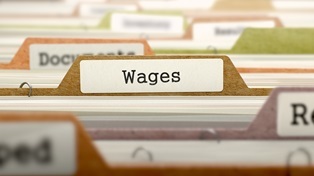 Although wage replacement benefits are what most people first think of when discussing workers' compensation benefits, medical benefits are also provided. The insurer must pay the cost of reasonable and necessary medical care related to your condition until you've reached maximum medical improvement (MMI). This includes immediate emergency care as well as diagnostic tests, surgeries, follow-up visits, and prescriptions. When receiving medical care, you should keep a careful log of your travels to and from doctor appointments. The insurer is required to reimburse mileage expenses. Vocational rehabilitation benefits are a type of service offered to workers who are unable to return to their previous job but are still able to work in another area. If you qualify for vocational rehabilitation, you'll receive appropriate placement services and assistance finding suitable employment. Like the indemnity benefits that are part of workers' compensation, unemployment benefits replace lost wages when you are not working. However, it is generally not possible to collect both types of benefits because you must be physically able to work and actively looking for work to be eligible for unemployment benefits. The only way you may be eligible for both types of assistance is if you are receiving PPD benefits and hunting for a position that would be better suited for your disability-related limitations. On-the-job injuries can result in significant financial burdens, which is why it's important to have someone available to advocate for your rights. The insurer is focused on making a profit, not on helping make sure your expenses are paid until you are able to return to work. The dedicated legal team at Neblett, Beard & Arsenault provides injured Louisiana workers with effective and aggressive representation for their workers' compensation claims. Contact us online or call us directly at 318.541.8188 to schedule a free, no-obligation case review.